In 1975, Steiner-Parker released a synthesiser called the Synthacon. It was used by bands like Pink Floyd. Ken Stone makes 5U, Moog-style modules, amongst them the CGS-35, a tribute to the Synthacon's filter. 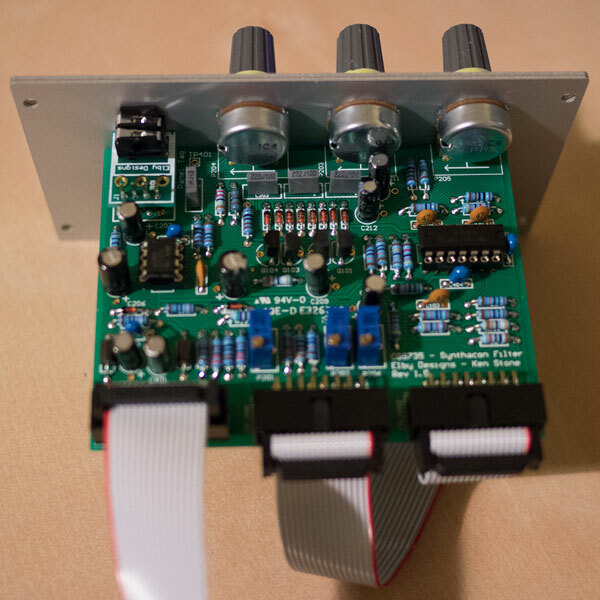 Elby Designs converted this module to the more compact Eurorack format used by Doepfer and many other contemporary module manufacturers. 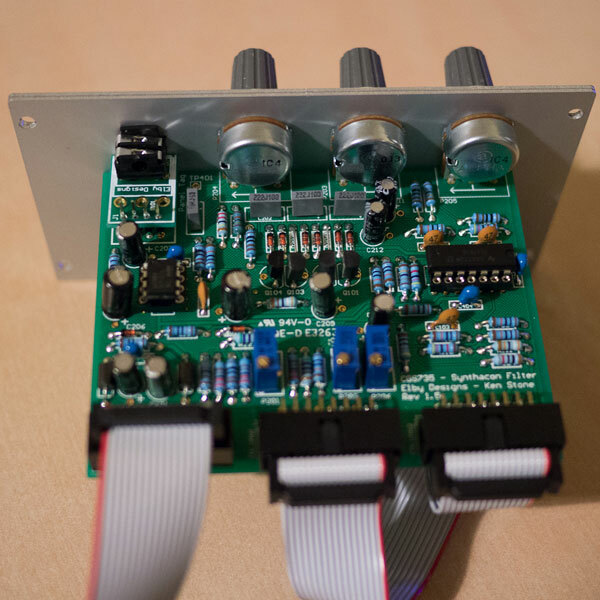 I bought one of these, the CGS-735 (presumably the 7 somehow stands for Eurorack), and Nina was nice enough to build it for me. If you're doing the same, here's what you need to know. Capacitor C211 goes in backwards, despite what it says on the PCB. You need to ignore two of the eight diodes you get. Solder two in, miss one, solder two more in, miss another one, and solder the last two in. Just put jumper wires in where the other two would go. You may also need to file away at the module's mounting holes slightly to get them to line up with the rail's mounting holes. Otherwise, just follow the instructions. This is just my personal experience, and does not constitute professional advice. It comes with no warranty.